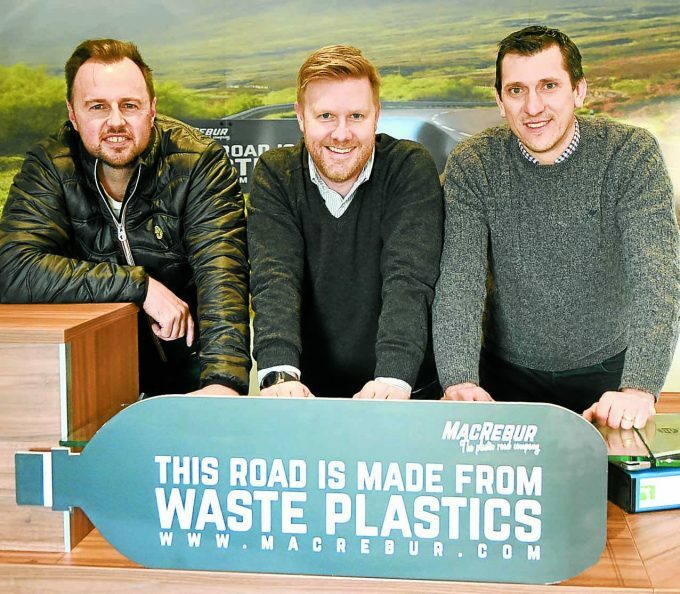 The Department of Transport yesterday announced a £1.6 million trial of the plastic roads technology developed by MacRebur, who are based in Lockerbie. Cumbria County Council have been awarded the monies to to carry out more trials using MacRebur’s award winning waste plastic pellets. As part of the Live Lab project, research into the technology will be carried out by Gaist, as well as The University of Nottingham, University of Central Lancashire, University of the Sunshine Coast, in Australia and the University of California. And, a guidance document on the use of the plastic solution will be produced, along with an APP. Cumbria was the first council in the UK to use the patented asphalt enhancement invented by MacRebur. Since then, the company’s products have also been laid in Dumfries and Galloway, Gloucester, London, Newcastle, Durham and in the Central Belt, as well as abroad in America, Bahrain, Slovakia, Australia, Turkey and New Zealand.